On a night of NASCAR Winston West action at Stockton 99 Speedway, the companion division feature events were won by Tracy Bolin of Valley Springs and Danny Contessotto of Stockton in NASCAR Union 76 Weekly Racing Series competition presented by DODGE. Bolin, a first year Late Model driver with five years of Pure Stock and Pro Stock experience under his belt, became the surprise winner of the HOTWOOD Western Late Model feature this Saturday night. The surprise was not in his personal ability to win, already proven with ten main top five finishes, including two second place runs this season. 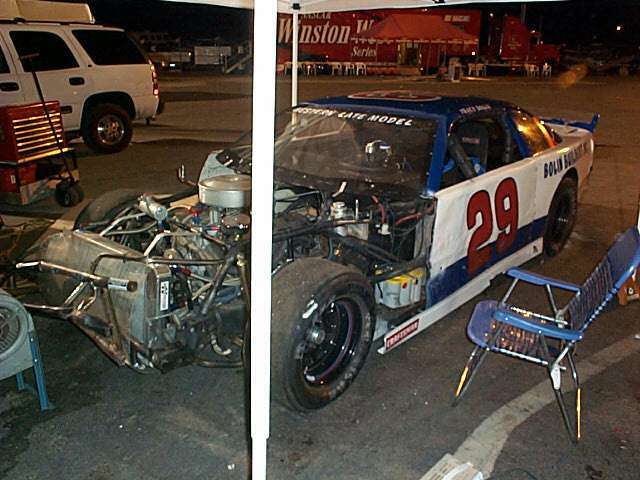 It was due to the condition of the car, which had suffered heavy body damage in his heat and competed in the main minus hood and fenders. Bolin overcame early leaders Chris Monez of Lodi and Pete Anderson, Jr. of Stockton to lead a total of seven laps and collect his first career feature victory. 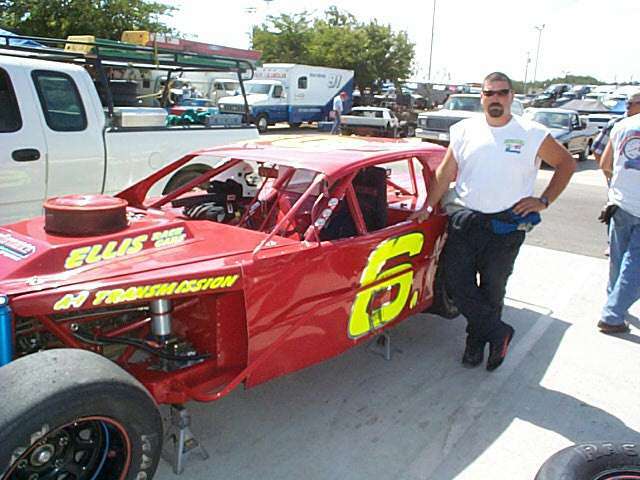 Bolin now runs second in season points behind leader Harry Belletto of Modesto, and ahead of third place runner Pete Anderson, Jr.
Danny Contessotto of Stockton would be the first to admit that while certainly entitled to his fourth career feature win and second of the 2002 season, it became a gift of sorts as he led seven laps before bowing to Sam Solari of Salida. Solari led the next 20 before getting tapped from behind by rookie driver Kyle Gottula of Modesto. 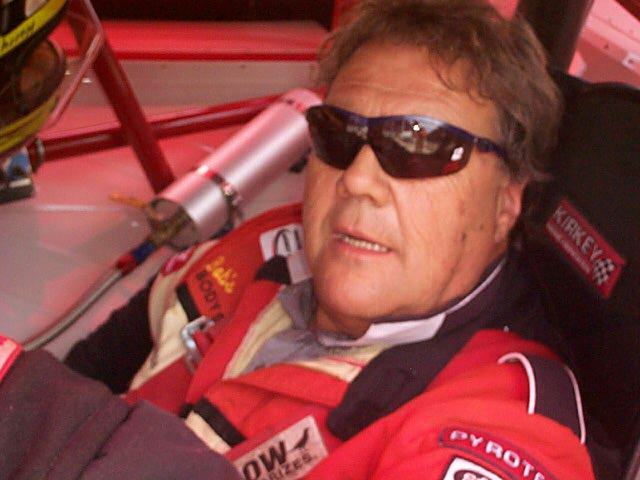 Solari spun to a ninth place finish as Gottula continued to the checkered in first only to end up placed in 10th by track officials, one position behind Solari. The win thus became Contessotto’s, which helped him to retain his current division point lead over Solari and Steve Stacy of Stockton. Stockton Speedway will be closed this Saturday, August 24th, but will return to action on the 31st with the final 100-lap leg of the three-race HOTWOOD Tri Holiday series and a championship battle for the $2,000 winners share of the $3,500 in awards posted by HOTWOOD. The Late Models will be joined by the Pure Stocks and the final season appearance of the USAC/BCRA Midgets as they seek to crown their own 2002 Stockton champion. 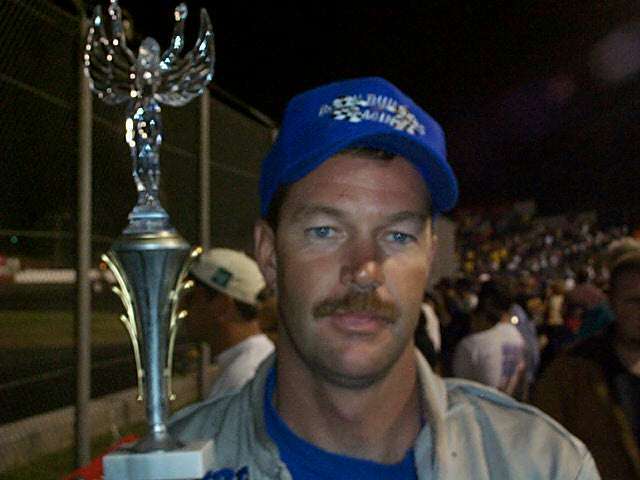 Johnny Borneman credited his crew for his first NASCAR Winston West Series victory of the season. Borneman led all 200 laps of the NAPA Auto Parts 200 on Saturday night at Stockton 99 Speedway. He led through eight yellow flags and an intermission at 100 laps for pit stops. 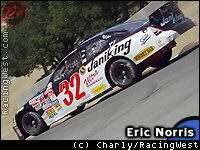 No one in the field of 18 ever had anything for the Borneman Plastering/Red Line Oil Ford Taurus. "We practiced on old tires all day long (Friday)," Borneman said after collecting $12,585 for his second career Winston West win. "Hats off to the crew." 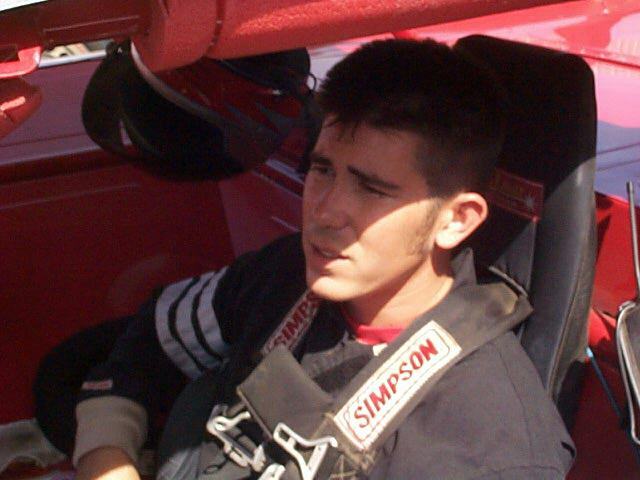 As for local favorite Mike David of Modesto, he was thinking of how he'll prepare for the race should it return to Stockton 99 next season. "Maybe next time, we should come out and test long-run stuff," David said, disappointed even though he again was the top-finishing rookie with a Winston West-best third in his Injury Helpline.com Ford Taurus. "Probably lack of experience more than anything. I'm disappointed for the fans. You know, the hometown thing." David was one of eight drivers to break Jim Bown's track record of 14.643 seconds, set May 13, 1983, the last time the Winston West Series came to town. Brandon Ash of Umpqua, Ore., won the pole with a lap of 14.475 seconds around the quarter-mile paved oval. Borneman, of Ramona, was second at 14.49 and David third at 14.528. "I thought we had a chance at the pole," David said. "We got a little greedy and adjusted on the car. Didn't happen." David ended up in second place on lap eight when Borneman and Ash tangled in the backstretch. David then followed Borneman until the break at 100 laps, and it looked like David had something for the leader when the green flag waved again. But David began to fade and eventually was passed by Ash on lap 141. Mike Duncan of Lamont and Kevin Richards of Spokane, Wash., passed David on lap 172. David rebounded to pass both, and he nipped points leader Eric Norris of Dana Point for third at the checkered flag. "It was pushing in, loose off. It was a handful," David said. 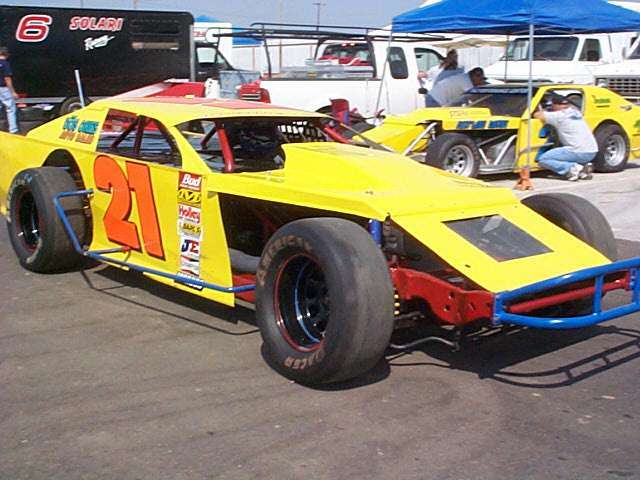 Buzz DeVore of Stockton qualified 16th and drove his Reynoso Concrete Ford Taurus to a 14th-place finish. 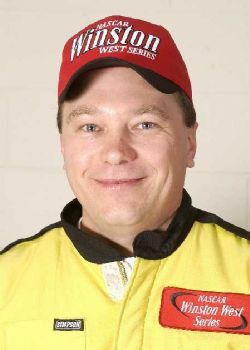 Anyone who thought Tracy Bolin would win his first career Late Model main event after what happened to him in his heat race, raise your hand. No one, huh? That's understandable. The Valley Springs driver headed to the pits after getting the worst of a multi-car pileup early in the third heat, won by Mike Regelman of Ripon in his first start in the car owned by Paul Dorrity Jr. of Modesto. But Bolin, his car missing its hood and both front fenders, passed Pete Anderson Jr. of Stockton on a restart on lap 24 and had enough to hold off Harry Belletto of Modesto over the final six laps. "The car still drove good. It just didn't look as pretty," an elated Bolin said. "We've been there. We were so close so many times." Belletto had a three-race win streak snapped but maintained his stranglehold on the points lead. Anderson finished third, Chris Monez of Lodi fourth and Eric Seely of Modesto fifth. Bolin took over second place in points from Dave Byrd. It may not have been the most honorable way to win a main event, but Danny Contessotto of Stockton wasn't about to give it back, either. Contessotto was awarded the win after Kyle Gottula of Modesto had his checkered flag taken away for spinning out Sam Solari of Salida in the frontstretch on lap 28. Gottula took the lead from Solari after the incident and raced around to take the checkered/yellow on lap 29. "It works," said Contessotto, who went into the program with a 23-point lead over Solari. Contessotto and Solari battled early in the main before Solari took control. Solari obviously had the fastest car in the feature, even though Greg Williams (13.842 seconds) of Ceres and Gottula (13.845) surpassed Steve Stacy's former record of 13.871 in qualifying. "The fastest car doesn't always win," Contessotto said following his second victory this season and the fourth of his career. "We just wanted to finish in the top five and keep the chase alive." Contessotto actually is the one being chased. Solari was denied what would have been his fourth win this season and finished ninth. Track officials placed Gottula behind Solari in 10th. Jason Philpot of Sacramento finished second, Steve Stacy of Stockton third, Jason Kerby of Galt fourth and Mike Regelman of Ripon fifth. John Unger of Stockton dominated the B main and led four transfers into the main.